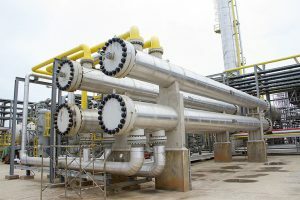 The Ghana government has been asked to account for an amount of $200 million generated from the Atuabo Gas Plant managed by the Ghana Gas Company Limited, in the first seven months of operation. Dr. Mohammed Amin Adam, the Executive Director of the Africa Centre for Energy Policy (ACEP) raised the questions today August 5, 2015, at an Open Forum in Accra organized by the Institute of Financial and Economic Journalists (IFEJ). According to Dr. Adam, the plant is currently supplying about 50 per cent of the Liquefied Petroleum Gas (LPG) needs of the country, and the plant, he said can generate around $500 million a year. Capacity Building (including in Oil and Gas). The total amount for 2014 GH¢899,960,111 but only GH¢549,400,109 was spent, leaving a balance of GH¢666,058,058. Dr. Adam said the balance of over GH¢600 million did not appear anywhere in the mid-year budget review and he is asking the government to tell Ghanaians where the money is. Making his remarks, Mr. Ali Nakyea Abdallah, a tax expert expressed concern that Ghana’s oil revenue is over-hyped increasing public attention on it to the neglect of other sectors of the economy. He however, expressed optimism that the requirement of the Petroleum Revenue Law which states that the country’s oil revenue should be applied through a national development plan would be achieved when the country finally gets a national development plan, the preparation of which was launched Tuesday August 4, 2015 by the President. Officials of the Ministries of Finance, Energy and Petroleum who were invited for the forum, did not turn up.